South Africa's unemployment rate dipped slightly to 27.1% of the labour force in the fourth quarter of 2018 from 27.5% during the previous three months. The unemployment rate however remains generally high, reflecting how sluggish economic growth is hampering efforts to create jobs. In its Quarterly Labour Force Survey, Statistics South Africa said the number of employed people increased by 149 000 to 16.5-million. The number of those unemployed declined by 70 000 to 6.1-million compared to the third quarter, resulting in an increase of 79 000 in the number of people in the labour force. Axed South African Revenue Service Commissioner Tom Moyane has lost his bid for leave to appeal at the Constitutional Court. In a brief court order, dated February 4, the ConCourt found that after considering Moyane's application for leave to appeal, it has concluded that it should be dismissed as it "bears no reasonable prospect for success". 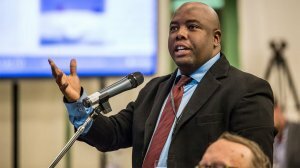 The Democratic Alliance's Stevens Mokgalapa was elected as the new Mayor of the City of Tshwane at a special council meeting on Tuesday. The meeting was scheduled after Solly Msimanga officially resigned as executive mayor. In his resignation letter to speaker of council Katleho Mathebe, Msimanga explained that he was stepping down in order to pursue higher office. However, the ANC Gauteng provincial secretary Jacob Khawe said the DA was attempting to save itself with the move and accused Msimanga of being embroiled in a number of scandals including the multibillion-rand GladAfrica saga.